ePublishing Knowledge BaseePublishing Knowledge BaseePublishing Knowledge Base EditorialHow do I preview an article or blog post before publishing? This article shows you how to preview an article or blog post on your website before you hit Publish, providing the opportunity to edit or make changes to formatting before the content goes live. 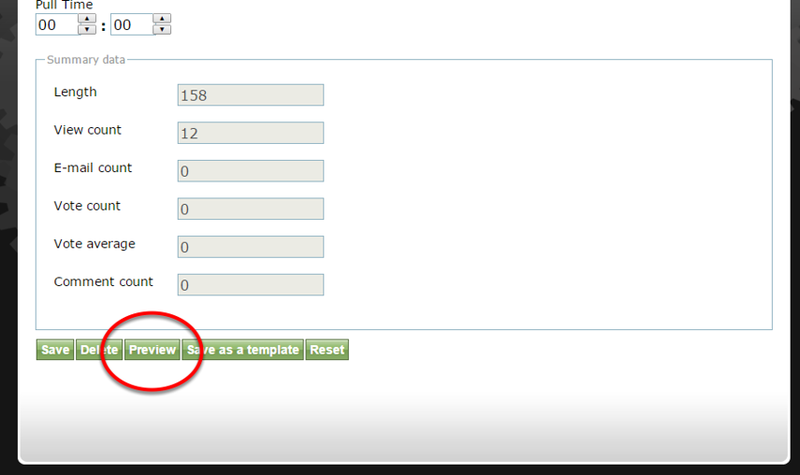 Scroll to the bottom of the first screen in the Article or Blog Post Manager and click Preview. Zoom: Scroll to the bottom of the first screen in the Article or Blog Post Manager and click Preview. Your article or blog post will open in a new window. Please note the URL, which is generic, is not the final URL. Prev: How do I unpublish an article or blog post? Next: How do I duplicate an article?